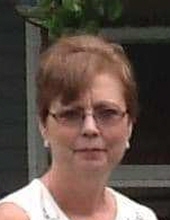 Paula Jo (Short) Russell, 62, of Girard, died at 6:02 p.m., Sunday, April 14, 2019 at her residence. She was born August 1, 1956 in Pittsburg, a daughter of Paul and Betty (Leverich) Short. She grew up and attended schools in Girard and she graduated from Labette Community College in Parsons. Paula married Randy Russell on October 12, 1974 in the Nazarene Church in Girard. He survives of the home. They lived in Pittsburg, Pasadena, California, Canyon, Texas, and Girard. Paula worked as a CNA, CMA, and HHA at the Girard Hospital and at Windsor Place in Pittsburg. Paula was a member of the Independent Bible Baptist Church in Pittsburg and she enjoyed her family, fishing, listening to Elvis Presley, and her day helpers during her illness. Survivors, in addition to her husband, Randy, of the Home, are her son, Chad D. Russell, and his wife, Dolly, of Ft. Scott; her daughters, Kimberley Anne (Russell) Thomas, and her husband, Jesse, of Carl Junction, Missouri and Mandy Jo Russell of Girard; her grandchildren, Kelcie Hardesty, Rayleea Russell, Breanna Hardesty, Zandon Russell, Dawson Russell, Camrenn Hardesty, Shaelinn Hardesty, Jo Dee Russell, Stettson Hardesty, Cameron Russell, Hunter Russell, Mackynzee Russell; her great-grandchildren, Paisonn Ampiah, Auzlynne Ampiah;her brothers, Paul Dary Short, and his wife, Lisa, of Bentonville, Arkansas, Phillip A. Short of Ottawa, Kansas, Shannon D. Short of Harrisonville, Missouri, Mike R. Short, and his wife, Kristin, of Girard, Kevin L. Short, and his wife, Robin, of Girard, Kelly J. Short, and his wife, Heather, of Girard; her sisters, Pamela K. Thurman, and her husband, Terry, of Rogers, Arkansas, Patricia M. McNew, and her husband, Phil, of Pittsburg, Cindy S. Owen, and her husband, Danny, of Farlington, Tena L. Short of Independence, Missouri, Ragenia G. Walker, and her husband, Clint, of Topeka. She was preceded in death by her parents and a brother, Ray Short. To send flowers or a remembrance gift to the family of Paula Jo Russell, please visit our Tribute Store. "Email Address" would like to share the life celebration of Paula Jo Russell. Click on the "link" to go to share a favorite memory or leave a condolence message for the family.